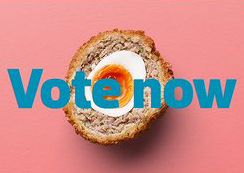 The Observer Food Monthly Awards, now in their 14th year, have a new category: ‘Best ethical food project’, to recognise businesses which seek to reduce food waste and improve sustainability. If you love Pac ‘n Vac please vote for us – it only takes a minute and everyone who votes has the chance to win great prizes including holidays and meals at top restaurants. Your vote will spread the word that Pac ‘n Vac’s UK-made vacuum food storage containers help households and caterers cut food waste by keeping food fresher and safer for longer. Voting closes on 23rd June, so please vote for us for now. Thank you!